In this article, you will learn about TypeScript, using Visual Studio Code. This is a fresh series of articles to learn Typescript from scratch, using Visual Studio code. Visual Studio Code is the new editor given by Microsoft, as it’s a very rich tool in comparison to sublime text, although this is my personal observation. There are certain prerequisites before you jump into Typescript. Kindly follow the given steps in order to start with TypeScript. 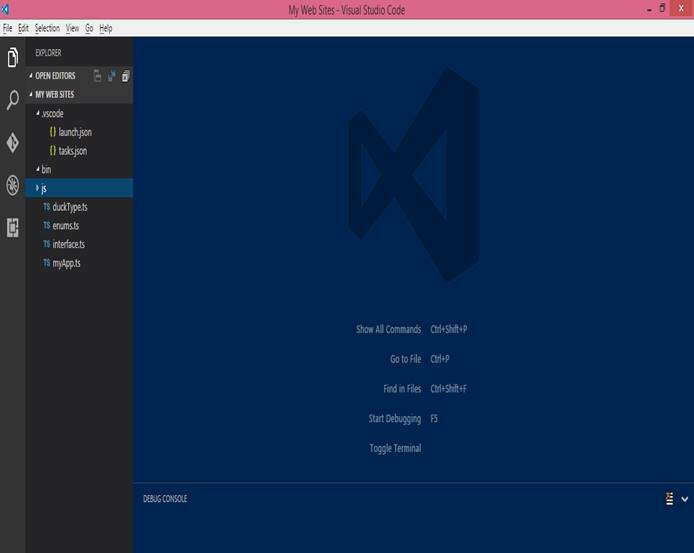 Kindly download Visual Studio Code here. The latest version 1.8 is now available. After following all of the above steps it’s time to verify the NPM, using command prompt. 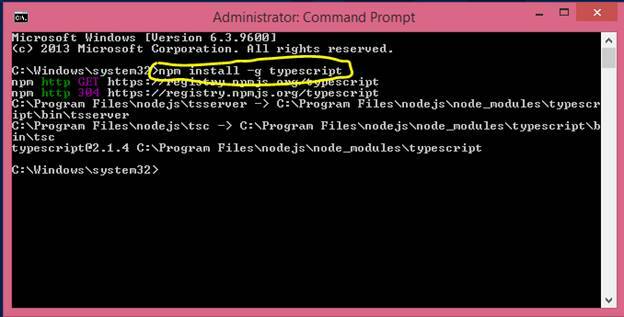 Open the command prompt, and type the following statement - npm -v.
It shows the screen given below after installing TypeScript compiler. Once you are done with all the steps shown above, it's time to execute you first sample .ts file. I’ve created a file with the name test1.ts and it has content, as shown below in the image. Open your command prompt and reach to the desired destination, wherever you have placed this file and execute the below command: tsc test.ts. After running the statement shown above, it should create a test1.js file, which should also have the same contact as test1.ts file. Now, you can also verify it, using node with the command: node test1.js is also depicted below in the image. I hope you will have inferred the basics of TypeScript with Node and Visual Studio Code. There is a lot more in the upcoming articles.